Bohemian interiors can be extremely chic yet eclectic at the same time, making this style a highly desirable, but somewhat difficult look to achieve. The key to a boho-inspired space is including vintage, collected, and hand made decor to warm the space. 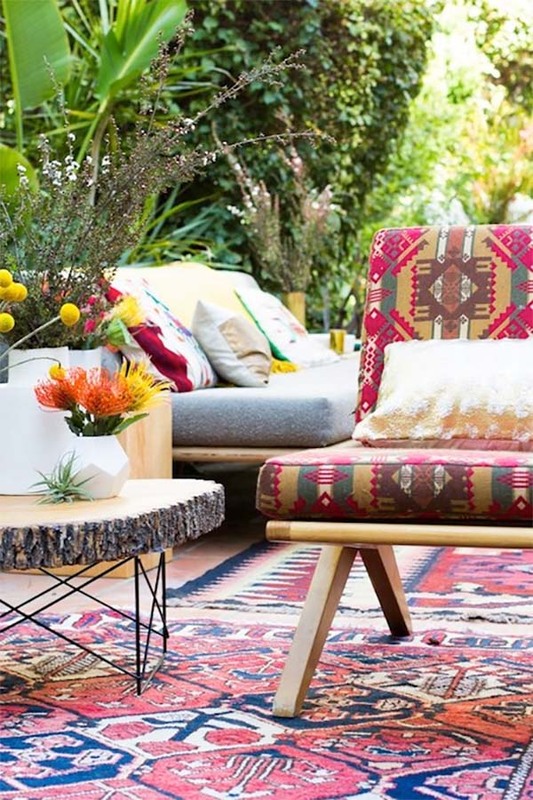 Tribal and Moroccan elements also go well when creating a boho-chic space. 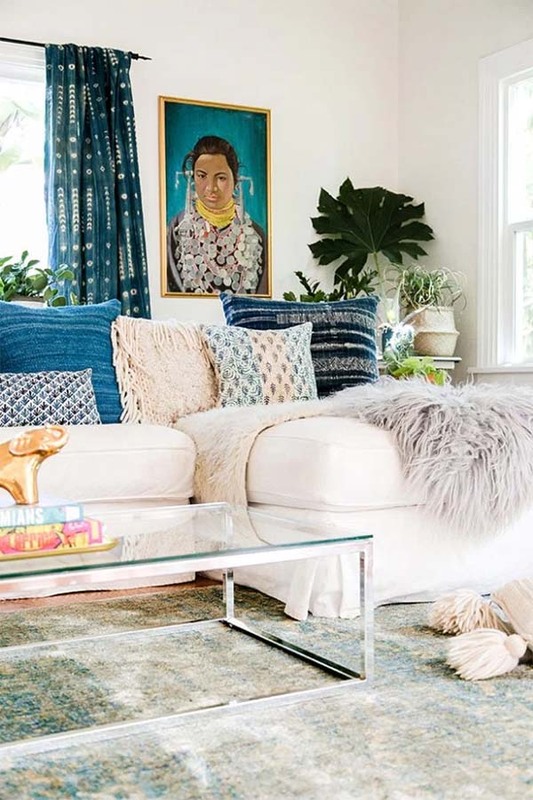 The only catch is that you can’t source bohemian decor just anywhere, so you’ll need to know where to look. Because your my good friends, I’m going to make it easy for you. 🙂 Here are my 5 top resources for sourcing stylish bohemian decor. 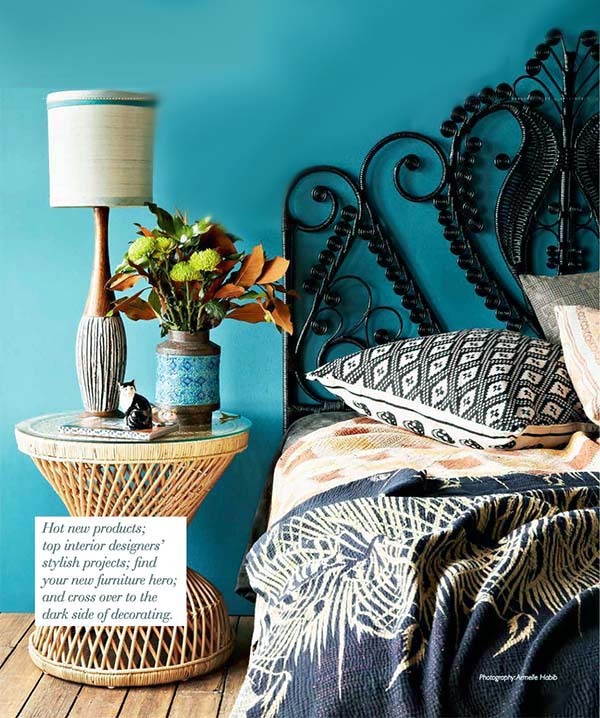 Image from Queensland Homes featuring boho ‘Peacock’ headboard from The Family Love Tree. If the headboard shown above caught your eye, then you’ll love Australian shop The Family Love Tree, which has a huge assortment of these unique headboards in various colors and designs. Their “Peacock” headboard design featured will definitely add a charming boho vibe to your bedroom. They also sell equally boho armchairs in a similar style to this Peacock headboard. And they ship internationally! 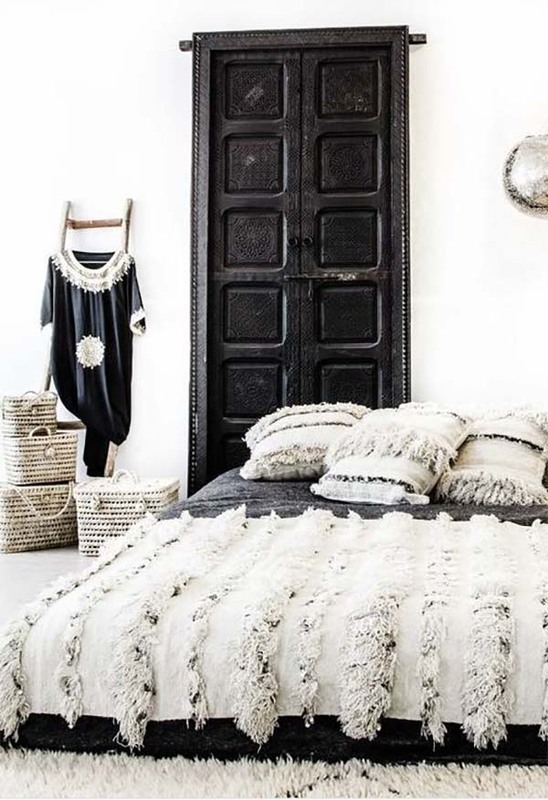 Black and white boho space featuring a chic Moroccan wedding blanket. Image via View from 5ft2. One of my absolute favorite boho elements are Moroccan wedding blankets. They typically feature fringe and sequins and are quite stunning. You can source beautiful throw pillows made from authentic Moroccan wedding blankets on this great Etsy shop called Via Melinda. Bedroom of Brooke Baker. Image via SF Girl by Bay. 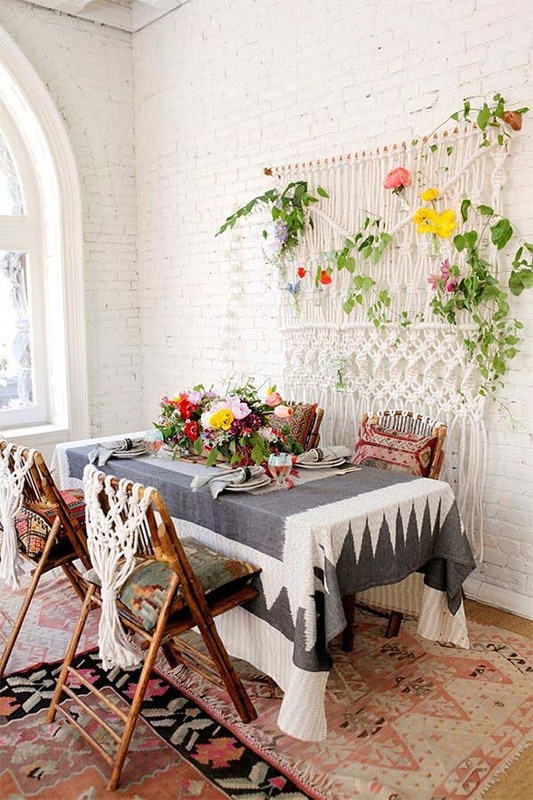 Boho chic dining room with macrame wall hanging. Image via The Brick House. Hanging woven and macrame wall art made with natural fibers would be an excellent addition to your boho-inspired space. You can source beautiful woven wall hangings from Arden Trading Co. based om Minnesota. 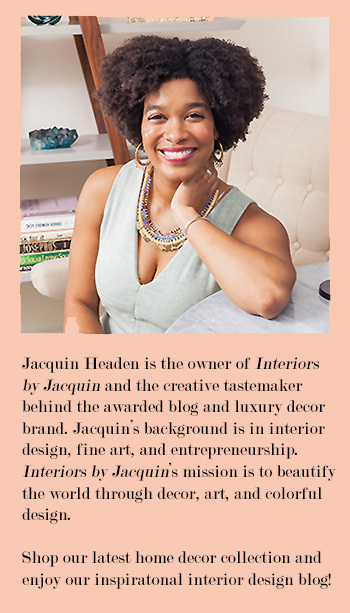 And what’s best is that Arden Trading Co. specializes in bohemian home goods and textiles specifically. Zoco Home is another great resource for authentic Moroccan home accessories to complete your bohemian look. You can find beautiful leather poufs, authentic Beni Ourain rugs, and handcrafted Moroccan lanterns in intricate designs. Zoco Home also offers a lovely selection of Moroccan wedding blankets and intricately painted ceramic tableware. Interior design by Maud Interiors. Image via Houzz. 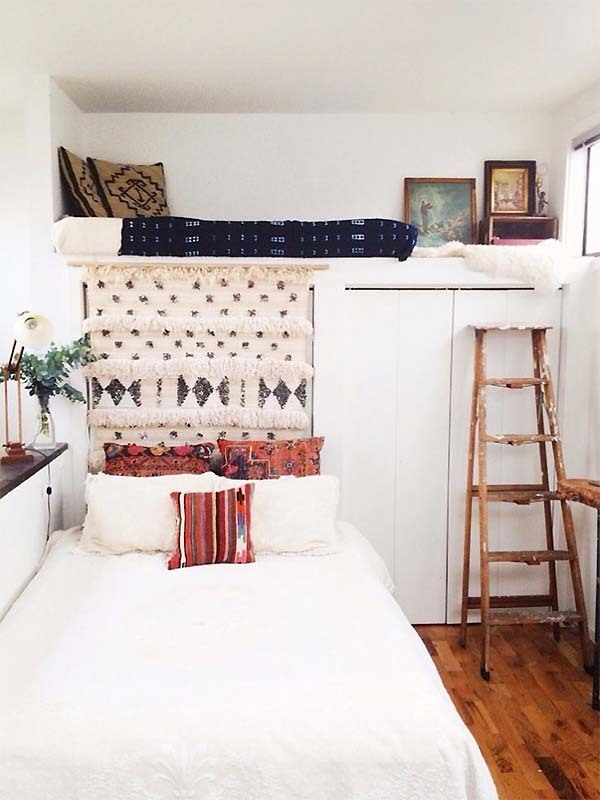 For your one stop shop for all thing boho related, pop over to The Mod Boho where you’ll find bohemian throw pillows, Moroccan wedding blankets, vintage rugs, and wall hangings… so basically everything you need to create your dream boho-chic retreat!